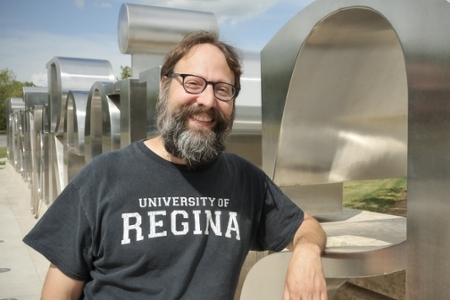 Dr. Marc Spooner is a professor in the Faculty of Education, University of Regina. He specializes in qualitative and participatory action research at the intersections of theory and action-on-the-ground. His interests include: homelessness & poverty, "audit culture" & the effects of neoliberalization & corporatization on higher education, and social justice, activism, & participatory democracy. He has published in a variety of venues including peer-reviewed journals, book chapters, government reports, and popularizations. He is recognized by the Canadian Senate as an expert in homelessness and has been the principal investigator for several research studies on homelessness funded by federal and municipal governments. Spooner, M., & McNinch, J. (Eds.) (2018). Dissident Knowledge in Higher Education. University of Regina Press. Spooner, M. (2018). Pushing boundaries: Academic de-institutionalization and our radical imagination VS ourselves and audit culture. In N. K. Denzin, & M. D. Giardina (Eds. ), Qualitative Inquiry In The Public Shpere, pp. 25-37. NY: Routledge. Spooner, M. (2018). Qualitative research and global audit culture: The politics of productivity, accountability, & possibility. In N. K. Denzin, & Y. S. Lincoln (Eds. ), Handbook of qualitative research (5th ed. ), pp. 894-914. Thousand Oaks, CA: Sage. Spooner, M. (in press). A life history of place: A future place for life hisotries?. Qualitative Inquiry. Spooner, M. (2015). The deleterious personal and societal effects of the "audit culture" and a domesticated academy: Another way is possible. International Review of Qualitative Research. Vol. 8, No. 2 (Summer 2015), pp. 212-228. Couros, A., Spooner, M., & Hildebrandt, K. (March 2014). Final Technology Report: NORTEP-NORPAC. Regina, SK: Saskatchewan Instructional Development and Research Unit (SIDRU). Spooner, M. (2009). Taking Stock, Taking Action: A Mid-Term Assessment of, and formative reply to, the 2007 Regina Community Plan Phase III. Regina, SK: Saskatchewan Instructional Development and Research Unit [SIDRU] and Homelessness Partnering Strategy [HRSDC]. 24pp. Potter, G. & Spooner, M. (2009). Taking Stock, Taking Action: A Mid-Term Assessment of, and formative reply to, the 2007 Regina Community Plan Phase III. Appendix I Regina Housing and Homelessness Profile Update 2009 Adaptation and update to the Regina Housing Profile 2007. Regina, SK: Saskatchewan Instructional Development and Research Unit [SIDRU] and Homelessness Partnering Strategy [HRSDC]. 25pp. Campbell, C. & Spooner, M. (2009). Taking Stock, Taking Action: A Mid-Term Assessment of, and formative reply to, the 2007 Regina Community Plan Phase III. Appendix II Talking with homeless service providers and service users from a First Nations Perspective. Regina, SK: Saskatchewan Instructional Development and Research Unit [SIDRU] and Homelessness Partnering Strategy [HRSDC]. 16pp. Spooner, M. (Sept/Oct., 2015). Higher Education’s Silent Killer. Briarpatch Magazine, Vol. 44, No. 5. pp. 4-7. "Academic Freedom in the Managed University: Controversy, Conflict, and Control"
"Public engagement, alternative metrics, and the politics of evidence: How 'audit culture' harms us all"
"No Accounting for Action: How the present pervasive 'audit culture' is domesticating the academy." "Confidentiality, member checks, lack of generalisability: Questioning accepted practices in qualitative research"
"No Accounting for Action: How the present pervasive audit culture is domesticating the academy"
"The Neo-Liberal Agenda in Public Education"
Former Chair for the Carmichael Outreach. The Regina Survival Guide and Map v.5 (1.24 MB) was released in July 2015.